This task description has been updated by aheinecke. The GnuPG System and GpgOL / GpgEX detect the language through GetThreadLocale or Environment variables on Windows (libgpg-error is responsible for that). This might not be the configured display language and it might also differ from Kleopatra which has a dedicated setting. A good fix could be that Kleopatra would write a registry Key that notes "it's" Language and that libgpg-error "my_nl_locale_name" would read / respect that language. 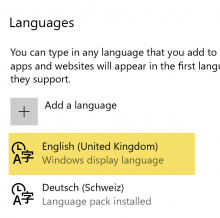 This would also make it easier for admins to globally configure languages. 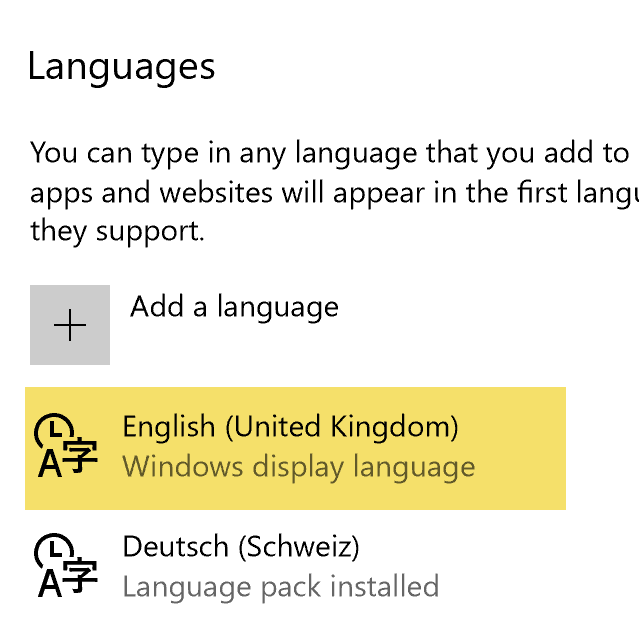 GPGOL shows the wrong display language. 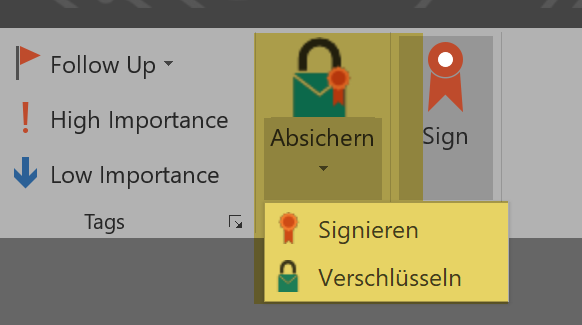 My OS and Office is English and the GPGOL is always german. rE0b190ce89de7: Add W32-only function gpgrt_w32_override_locale. GpgOL should use the same language detection code that GnuPG also uses. If you open a command line (cmd) and run "gpg" in that command line is it also in german? Type : Partially localized language, MUI type. For windows we either look at the standard POSIX environment variables (LC_ALL, LANG etc.) and if they are not set we use "GetThreadLocale"
The most "unsurprising" behavior would probably be if the gnupg system and GpgOL / GpgEX would also switch the language if Kleopatra's language is changed. I'll update the task description accordingly. aheinecke edited projects, added gpg4win, gpgrt; removed gpgol. prints "fr_RE". If the given language is not supported by libgpg-error, "C" is printed. I don't think this works for me in that way. I'm calling everything through GPGME and so it does not help much if my gpgrt locale inside of gpgol is different. E.g. for gpgconf this does not change the output of the configuration options. I think I have to look into the GPGME locale override and then we would need to pass it somehow. I wonder: Why don't I just setenv("LANG " ... early in my program?